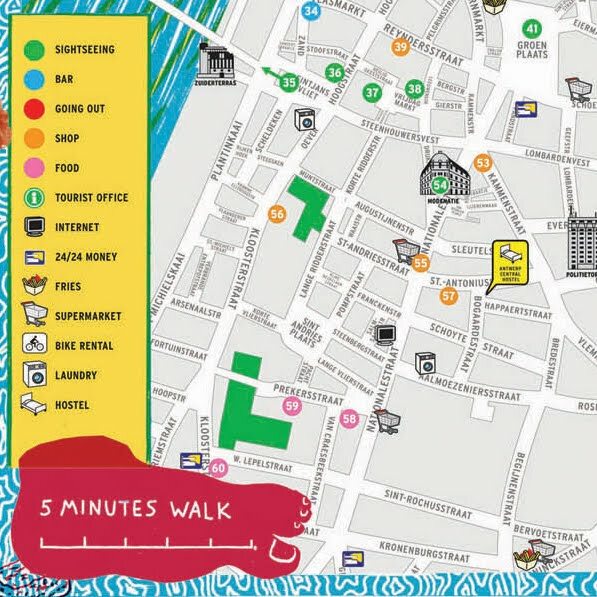 I tend to avoid using the maps given out at info centres and hostels. Generally they're loaded with advertisements, point out only the obvious tourist spots and focus mainly on businesses that paid them to do so. 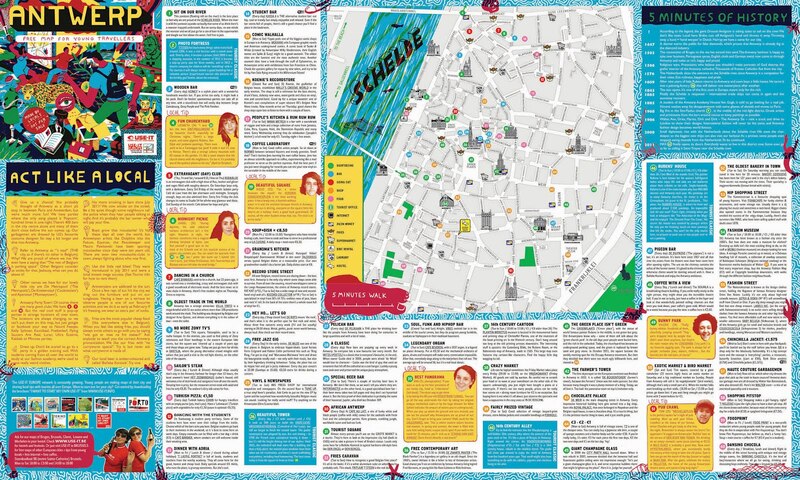 However, when I was in Dresden, I was given a map at my hostel made by locals for young visitors and was so impressed by the wealth of information and quality of suggestions in detailed. 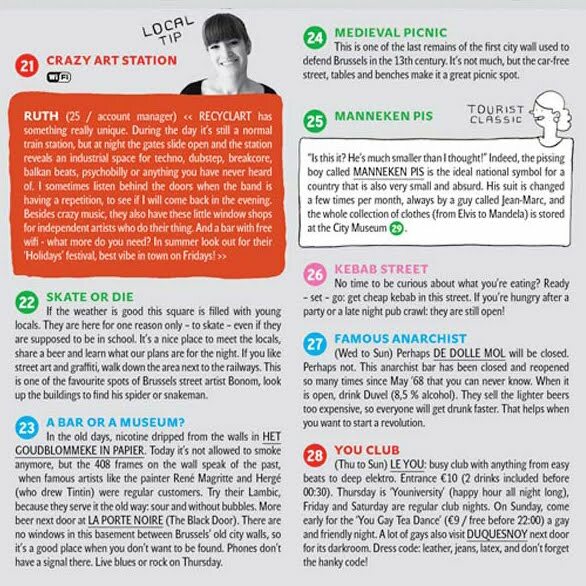 The map provided honest reviews of local businesses, recommending locals' favourite places to hang out, shop, eat and drink. 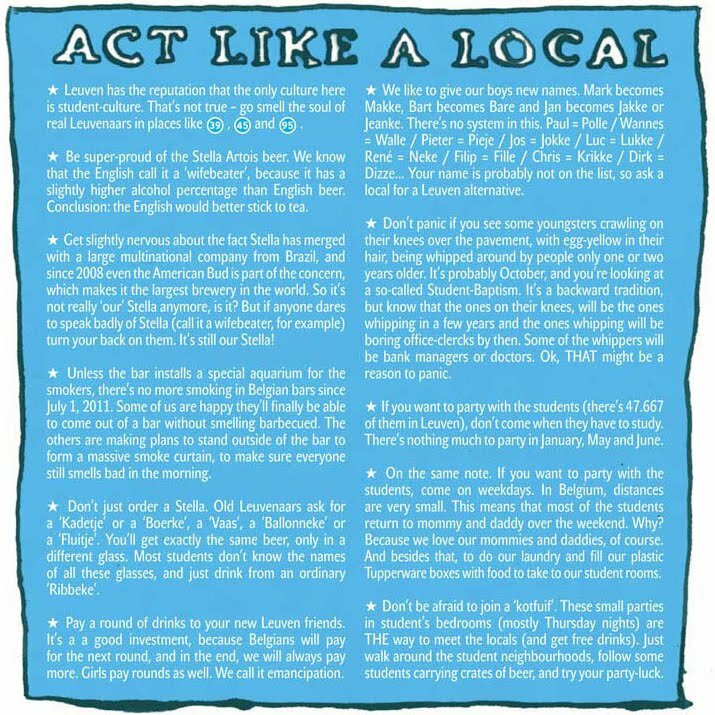 The map also included invaluable, albeit tongue in cheek, advice for how to "act like a local" and avoid tourist traps. The map was a great tool for finding out of the way places and really experiencing Dresden during my short stay there. 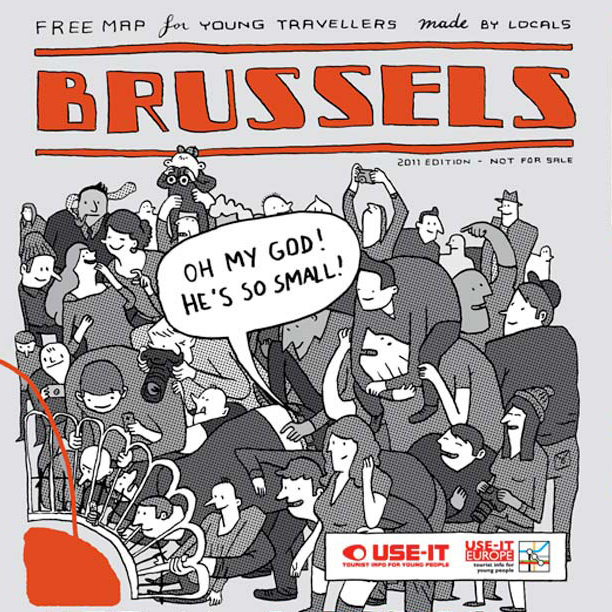 Unaware that this type of thing existed anywhere else, I was elated when I found similar maps all over Belgium, using them in Brussels and Ghent and now Bruges. Too similar to my Dresden treasure to be a coincidence, I looked into the maps and discovered they are part of a European network called USE-IT, a tourist information system written, designed and curated by locals for young travellers. They have a list on the main page of the cities where USE-IT exists and how you can get involved further. 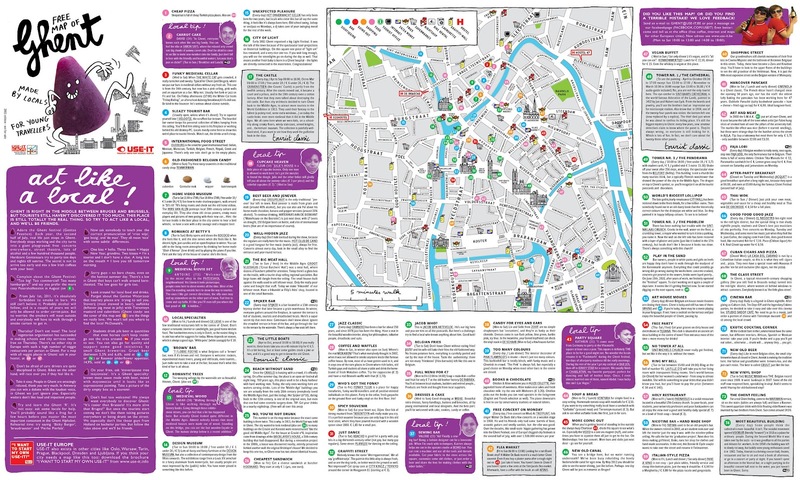 On top of being incredibly useful, each map is well designed and unique making it a great (FREE!) souvenir. 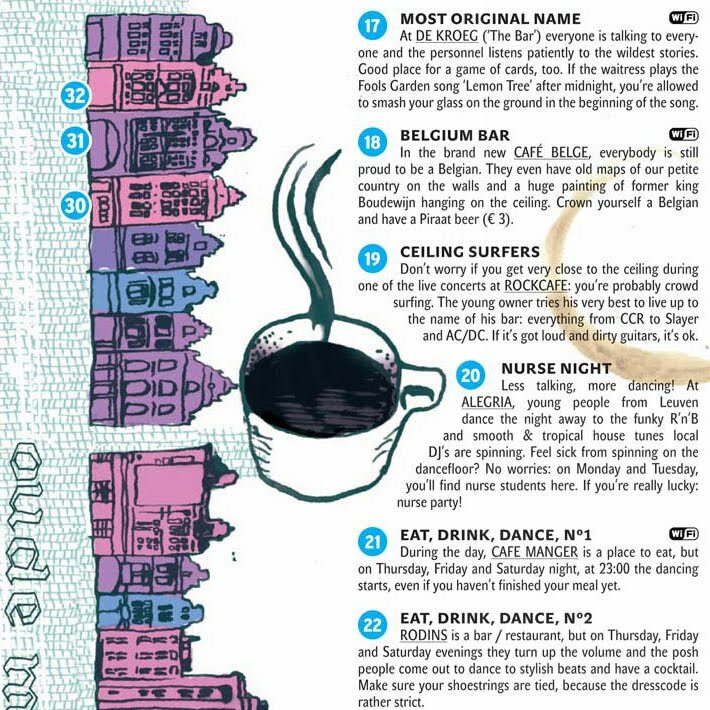 So, if you happen to be going to any of the cities on the list please try to find a map as soon as you arrive. So cool! I'm going to have to find some of those maps too. Thanks for sharing, Chelsea! Definitely do it! I missed out on some in a few cities as I just now realized it was a networked thing. Looking forward to hearing about your travels! Too bad there isn't one for London! Fabulouso! 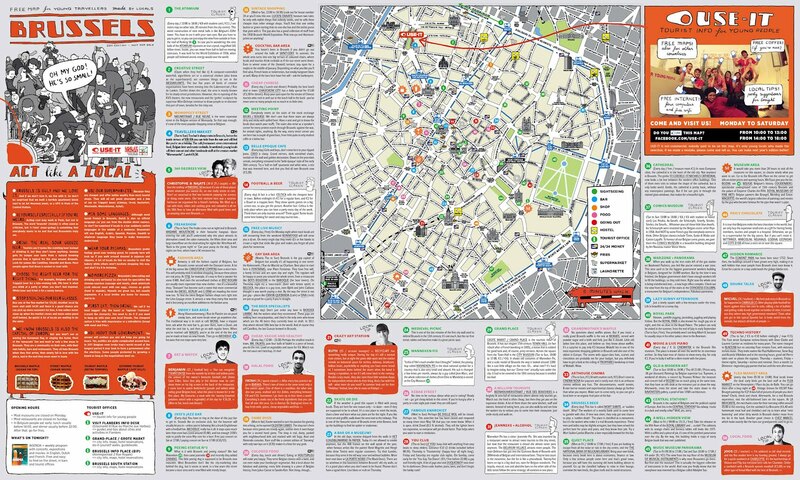 Must Do: create cool maps for our cities... asap.